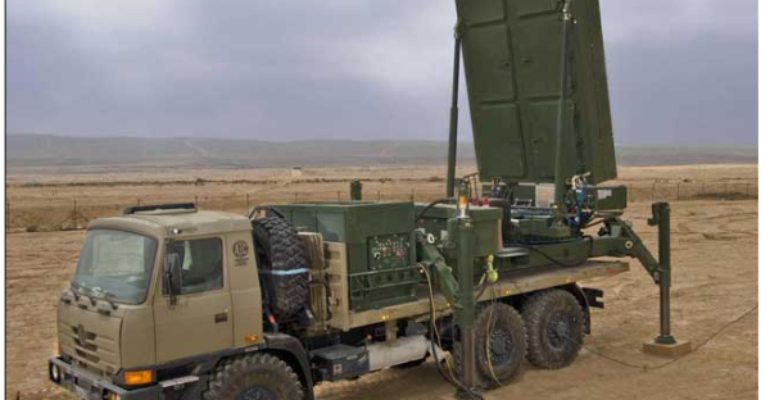 Elta’s ELM-2084 is a Multi-Mission Radar (MMR), purposed for air defense, that detects the nature of incoming rounds and sends that information to the Iron Dome or David’s Sling to intercept the incoming projectile. [i]The system is also purposed to detect artillery and can locate the source of enemy artillery fire and predict the trajectory and point of impact within the friendly zone for incoming artillery shells, missiles and mortars. This radar is equipped with an “advanced active electronically steered array (AESA)” which allows it to compile a 3D Air Situation Picture in real time. [ii]The physical radar rotates in accordance with incoming projectiles to update the air picture and accurately track projectiles through flight. The ELM 2084 uses an S-Band radar that can detect up to 1,100 different targets simultaneously at a maximum range of 470 km. [iii] The radar system consists of high mobility features that allow it to be moved on short notice. Additionally, the ELM 2084 has remote operation capabilities, allowing operation from a distance.